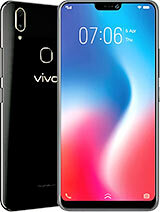 Here in the Philippines, this is the stores seel this phone for only Php 8,900 now or about USD 184. 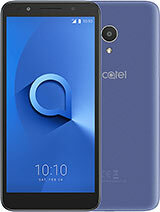 The package inlclued the unit, the battery, the stereo headset, manual and other items included by Alcatel plus a free 256 MB mini sd card. The shop I would recommend is www.protel.de, they sell it for 279 euro's (not including postage) but they offer a great package, it includes all the gadgets like; Remote control, corded headset, charger, usb data cable and PcSuite software, and a 2 year full service and repair warranty! And as a bonus they give you a 512 mb MiniSD SanDisk memory card. But its also available at www.dectel.be, in a much less attractive package, without a memory card and without the 2 year warranty. And there are lots of other shops selling it too, you just need to find them ;-)! Bilbo: Like Nelson said you can alter the phones settings to your preference. Try to look in the manual on page 26 and there you can read how you can set it up as you want. Demjan: As far as I can tell the phones included software does not support contact exchange between the phone and pc... but I will see if I can dig up something you can use. For more answers to all of your questions mail me at un112@msn.com. Bilbo, my old alcatel phones (ot 501, ot 332 and ot 535) have that function, filtering a call and I am surprised to hear that your SE phone have it too. I was able to browse my friend's SE K750 and I found out that this model only have all incoming call and/or all outgoing call barring feature and that's why I want to know what model of SE your old phone is. Anyway, I believe that all alcatel phones have this feature. For S853, you can filter incoming or outgoing call (e.g. you can choose a certain number only to be able to call you). It's on page 26 of the manual. Knight Rider can tell you more details about this. Don, sorry for my late reply as I very busy for the past few days. Anyway, your're right, the review is originally published in russian language as mobile-review used to have its review (in any phone) in russian language. I have just have it translated by the language translator so that everybody can understand. But mobile-review will publish the S853 review in english soon. I've got one question - is there any options in the software to use with the S853? I need something to edit phonebook from PC, to move contacts between groups, attach images and etc. Any suggestions? With my old SE phone I was able to filter my incoming calls, i.e. only have say 1 telephone number able to contact me. Does anyone know if it's possible on the s853? I've tried using Filtering in Call settings but I'm unable to get it to work. 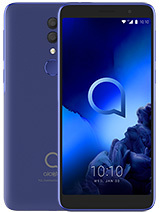 Alcatelogist? Wow sounds funky! Thanks! Remember people if you have questions, about Alcatel or this phone or any other of their phones, please feel free and mail me at un112@msn.com. On the quality of connection the model does not have problems, sound sufficiently loud and clear. Collocutor also hears you well. Let us note that the dynamics does not nevertheless a little be sufficient loudness for the conversation on the street near the lively roads, under the remaining conditions of it it is sufficient. About the external dynamic loudspeakers we already spoke, from this parameter telephone one of the good until today, the quality of sounding is very high. The loudness of dynamic loudspeakers is located on the standard level. [Vibrovyzov] on the force a little it does not suffice to the majority of contemporary apparatuses, after arranging telephone in the pocket and listening to the music through [pleer], there is a risk not to feel the vibration of apparatus with the entering bell. Loud connection is realized through the conversational dynamic loudspeaker; however, the level of sound is high. The mean price of apparatus is today 250 US dollars, for the comparison Sagem Of my700x similar on the functionality costs on the average of 230 US dollars, Samsung Of x700 - 240 US dollars. Difference in the fact that these products are represented on the Russian market no longer one month and had time to recommend well themselves. 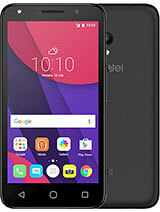 The models of this price segment, and, in particular, calculated for the young people, usually before the output to the market are advertised by producer, in the case Of alcatel of this it did not occur, apparatus appeared without excess noise, it is modest. 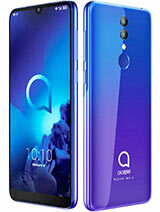 Model will not become Heath, let us risk to assume that sales Of alcatel Of oneTouch Of s853 they will be extremely low. 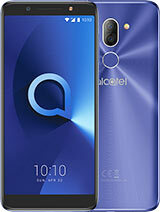 First, because of a drop in the popularity of the stamp Of alcatel, which did not recently present interesting products. 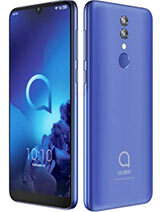 Is in the second place, functionally telephone from Alcatel is compared with the solutions Of samsung, Motorola, Sagem, in this case its mean cost is now higher. The extremely small propagation of apparatus will become last reason, company herself does not produce it in large quantities. You may visit this link for more details ==> http://www.appliedlanguage.com/web_translation.shtml. Thanks Goran, Thanks to all infact for your nice words... Send a mail to Alcatel and tell them too haha! Thanks ;)! Knight Rider?Who is this man?For me,the BEST expert for Alcatel phones.Keep doing this man,for us who don't know s##t about mobile phones.I just want to say that anyone who have s-853 for playing games you can use games from k-750.100% tested by me.I have download over 60 games on my s-853. Bodong: As far as I know there is no way to password protect a folder... atleast... I am not aware of it because quite frankly I did not try... but read the manual of the phone maybe you will find some tips there. Let me know. Thanks Dusan, how nice of you! I am happy you got the phone and quite soon too! how make a folder, hwo no one can open that files..???? is it use password for open ??or...... please help..
Hey guys, i have brand new 853 and its cool, havent seen nicer phone in my life. Yes you can make subfolders... just create a folder while your phone is connected to your pc by usb... or just press create new folder in the phones interface. But to be honest, you want to hide files so people can't seen them? Just don't give them the phone and they won't see it... haha! Just kidding. But yes you can, by the phone or just while its connected to your pc. Simple really.